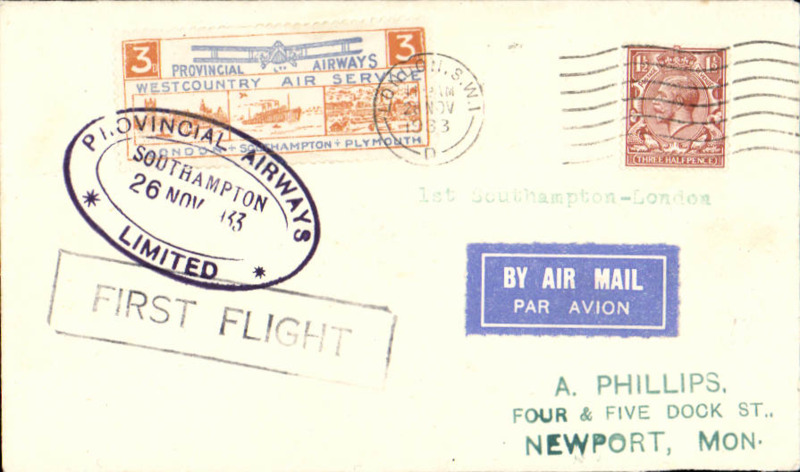 Description: Inauguration of the third GB Internal Airmail Service, Southampton to London, 3d orange bi-coloured vignette tied by violet oval Provincial Airways Southampton depart cachet, London arrival cds 28 Nov due to unforseen landing at Heston. 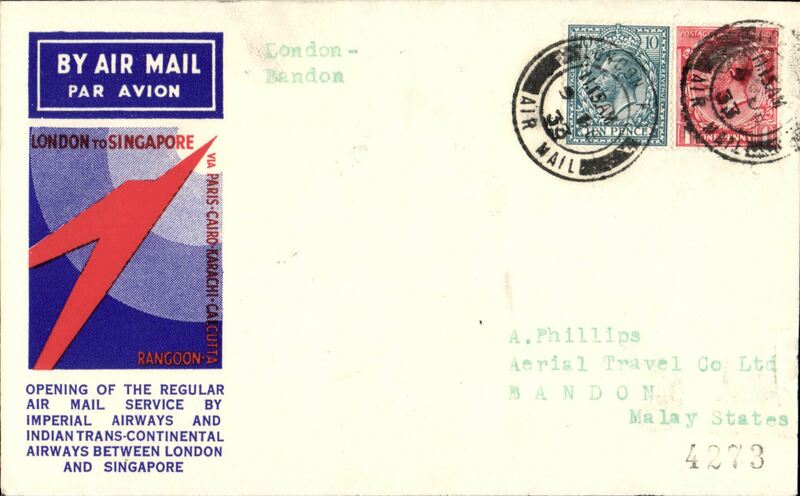 West Country Air Service of Provincial Airways Ltd. 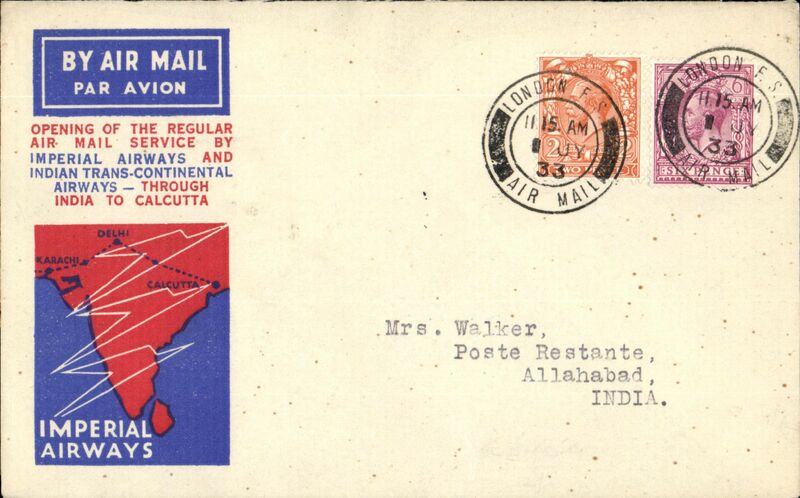 The service operated for six days only. 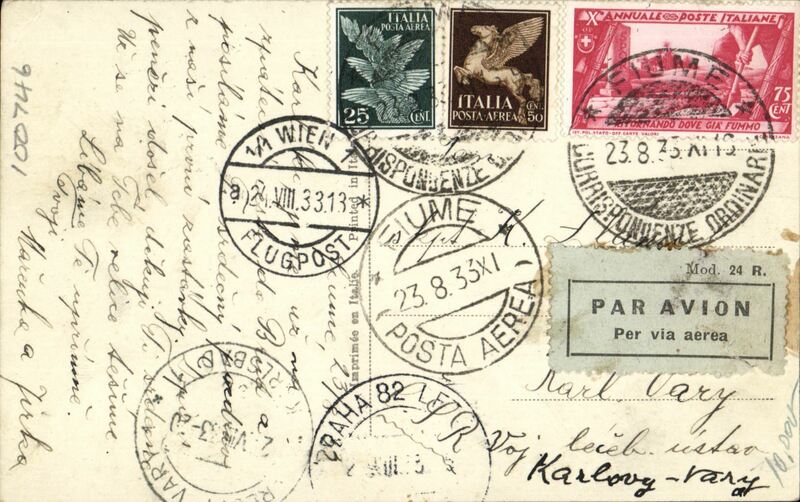 Description: Fiume to Czechoslovakia, bsCarlsbaad Vary, bs 2/5, via Vienna Flugpost 24/8 and Prague 2/5, sepia PPC showing Via Ipparco Baccic, Fiume, franked150c Italian stamps, canc 'Fiume/Correspondenze Ordinaire/23.8.33' and 'Fiume Posta Aerea 23.8.33' cds's, grey/black Mod 24 R airmail etiquette. 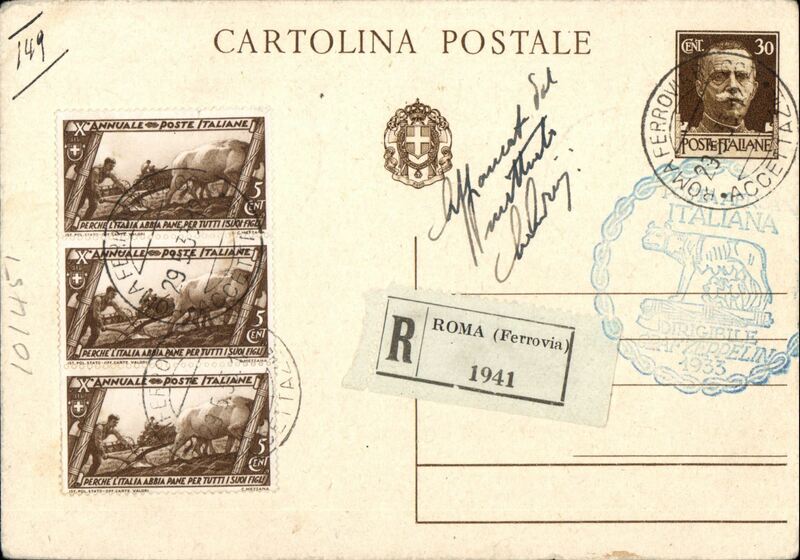 Fiume was incorporated into Italy on February 22, 1924, and used stamps of Italy until July 1945. 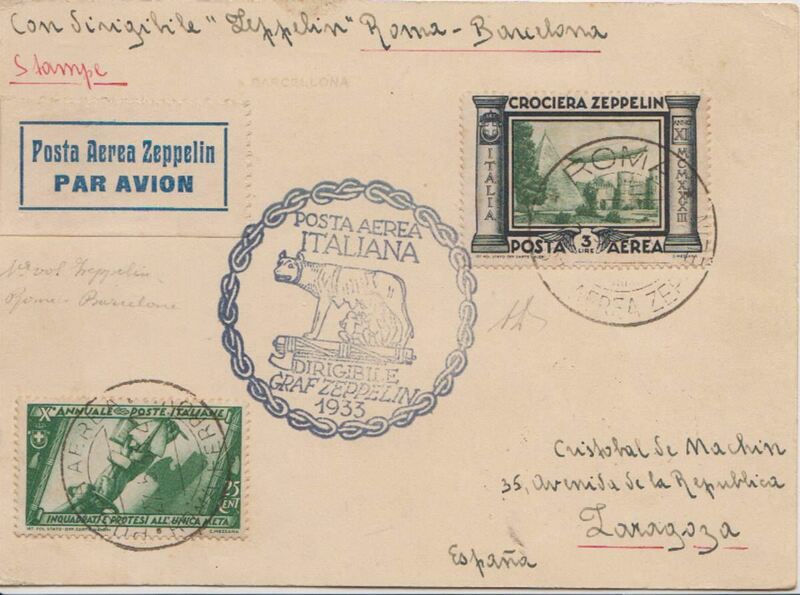 Early airmails from Fiume are difficult to find.